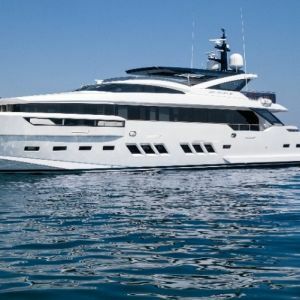 The owner of the Dreamline 34 ML has instructed a major price reduction of €700,000 to just €8,250,000 (VAT Paid) as he is keen to sell the yacht before the summer. 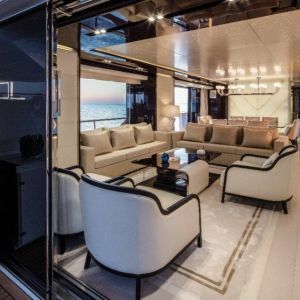 Built by Italian shipyard DL Yachts with naval architecture by Guiseppe Arrabito and exterior design by Enrico Gobbi at Team 4 Design, ML was awarded “Most Innovative” at the Invictus Yachts Trophies and was shortlisted for a 2016 World Superyacht Award. 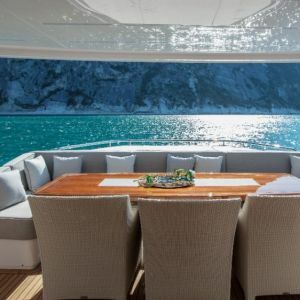 ML’s hull is specially designed to give excellent fuel efficiency, consuming just 75 litres per hour at 10/11 knots while providing excellent comfort on board. Sound and vibration have been kept to a minimum and ML has been built to an extremely high specification with a stunning custom designed interior and a great selection of additional features. 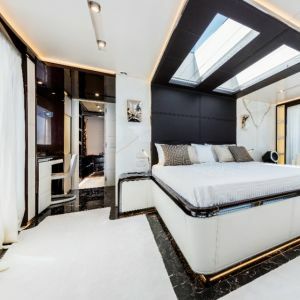 She is built to RINA class and comfortable accommodates 10 guests in five cabins consisting of a main deck master suite with private access to the foredeck, two VIP suites a double and a twin cabin, all with entertainment centres, television screens and en suite bathroom facilities. The striking interior is beautifully finished with cream furnishings and dark accents highlighted by custom Murano glass. 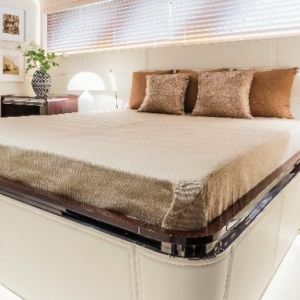 This 34m motor yacht benefits from a great sundeck layout with a custom glass Jacuzzi and live lobster tank, as well as easy access to the sea by a hydraulic sea stair at the stern and a hydraulic side passerelle. ML has finished her annual shipyard maintenance and is in turn key condition for her new owner; visits and offers are encouraged. Please contact Tom Barnes for further information.